Pink, pink and more pink! 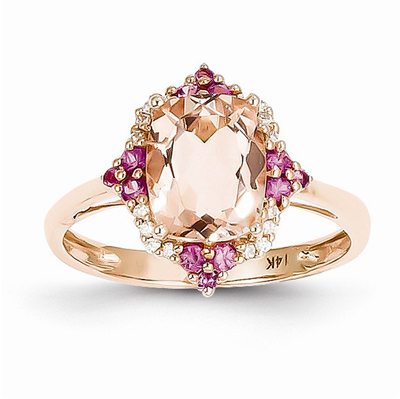 This gorgeous ring by Apples of Gold features a center cushion cut morganite surrounded by 12 pink sapphires and 12 white diamonds. All these lovely stones are set in 14k rose gold. We guarantee our Morganite, Pink Sapphire, and Diamond Ring in 14K Rose Gold to be high quality, authentic jewelry, as described above.